Both of Ellen’s books, Surviving Eldercare, Where Their Needs End and Yours Begin, published in 2009, and An Indian Sojourn, One woman’s spiritual experience of travel & volunteering, published in 2013, were a labour of love. In the summer of 1990 Ellen and her family moved from Southern Ontario to the Sunshine Coast of British Columbia, (BC). At the same time her mother, Glenys, migrated from Toronto to Vancouver Island, enjoying eight years living on the Inner Harbour, before Alzheimers Disease began to make inroads into her well being. At that time Glenys joined Ellen and her other adult child, a son, on the Sunshine Coast. 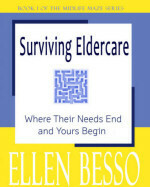 Surviving Eldercare is a personal account of Ellen and Gleny’s journey over the next thirteen years and it is also a self help book, complete with exercises, for other women, (and men), who are caring for aging parents and other family members. The book teaches women how to care for themselves physically, emotionally, mentally and spiritually in the midst of the often times draining task of caring for those dear to us. Many often ignored topics such as daughter-parent dynamics, powerful feelings such as anger and the stress of care giving during menopause are covered in depth. India’s draw is complex…and that is part of what pulls us in. 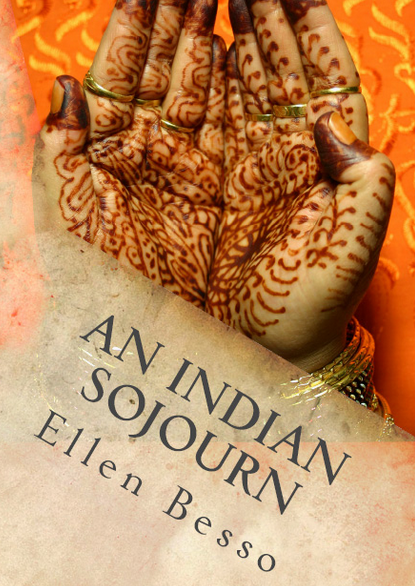 An Indian Sojourn is Ellen’s spiritual travel memoir, chronicling a three month trip to India taken by Ellen and her partner, from late 2009 to early 2010, their second of five trips. Ellen had been attracted to the Indian subcontinent since she was a young woman, but life intervened, and it was thirty years before she set foot on India soil. It was worth the wait, and Ellen’s underlying motto was “Bring it on, all of it!”. This openness to experiencing the vast and diverse country called India resulted in a richness beyond anything Ellen had imagined…a bounty of sights, of colours, of relationships…even the chaos played an important part in Ellen and her partner’s journeys. During their travels to India the couple made lifelong friends, volunteering and tutoring Tibetan refugees in Dharamsala, home of the Dalai Lama and developing friendships with two Indian families in Udaipur, Rajasthan. They discovered that we are really not so far apart from our Tibetan and Indian friends. Ellen invites you to join her on her journey, through the ups and downs of travel and volunteering, and to enjoy the fascination and wild rides that are India. You can also read about Ellen’s other India trips on this blog.